Capellix LED technology increases density of LEDs while lowering power consumption. Gordon tells us why Corsair's shrunken RGB LED tech is the most important thing he's seen at CES 2019. RGB lighting on gaming PCs is about to get a whole lot brighter and a whole lot more efficient thanks to Corsair’s new Capellix LED technology, which promises to be 60 percent brighter while using 40 percent less power. The new LEDs are incredibly tiny and dense compared to typical SMD, or surface mount device, LEDs. That density could one day lead to RGB grids on a case door or front panel with far more granularity than today’s LEDs. Corsair didn’t create the LED technology but it did work with a manufacturer to take LED technology that normally would never be applied to a PC and had it adapted to computer applications. On the top are normal SMD RGB LEDs and on the bottom is Corsair’s new Capellix. The LEDs are so efficient, Corsair said it will be able to use them in wireless keyboards and headphones without jeopardizing battery life. The ramifications of it, frankly, aren’t known yet. 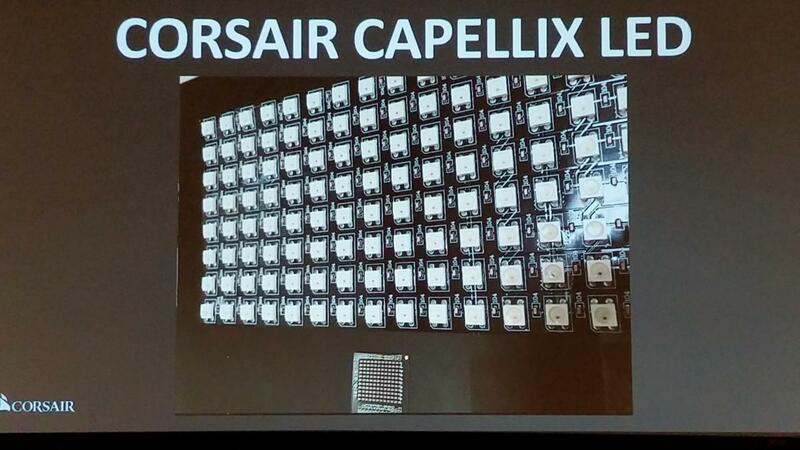 The first Corsair hardware to use Capellix LEDs will be Dominator RAM modules. Each will feature just 12 Capellix RGB LEDs in it for lighting. Why just 12 when Capellix is capable of being so dense? Corsair said it wanted to keep power consumption low so it can clock the modules to high levels—something that can be a problem with RGB lighting. 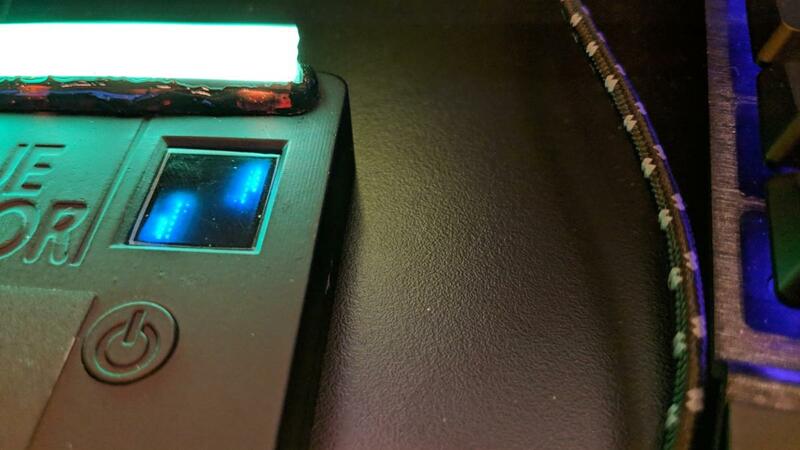 The Dominator modules will be available next month but you can bet Corsair is working on just where else it can stuff more RGB LEDS into a PC. This demo module shows a new Corsair Capellix LED in action. The illuminated strip above is a traditional SMD LED.